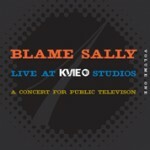 Share the post "BLAME SALLY – Live At KVIE Studios"
Blame Sally’s last studio album – Speeding Ticket And A Valentine (2011) – was one of those rare gems that you discover only occasionally – a release that has you searching out the band’s back catalogue and wondering how the hell they’ve been such a well-kept secret. 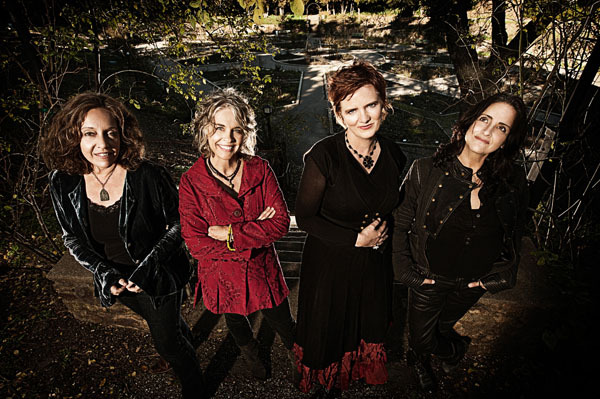 Formed in the San Francisco Bay area in 2000, Blame Sally – Pam Delgado (percussion and vocals), Renee Harcourt (guitars, bass and vocals), Jeri Jones (guitars, bass and vocals) and Monica Pasqual (piano, accordion and vocals) have a sound that places them somewhere between Sheryl Crow, The Pierces and The Dixie Chicks. That’s a powerful place to be. But what sets Blame Sally apart from many of their contemporaries is their organic ‘feel’ that pervades their work which is in equal measures folky, acoustic, and electrified. Live At KVIE Studios is actually their seventh release and third live album. Thankfully it overlaps with their last live album (the excellent, Live At Stern Grove (2010)) on only one of the 13 tracks, and includes three previously unrecorded songs. Timed to coincide with their first UK and Ireland tour the set was part of a live concert recorded and filmed live in December 2011 as part of a pledge programme to raise money for public television. And while studio ‘live’ performances can often have a somewhat sterile feel and an absence of atmosphere, Blame Sally sidestep that elephant trap with aplomb. It’s another superb release from the band and one that showcases a talent that deserves much greater widespread acclaim. Not many can cover Fleetwood Mac’s ‘Never Going Back Again’ and bring something new to the party, and the sparse bluesy cover of ‘Chain Of Fools’ that closes the set is the finest version I’ve ever heard and guaranteed to raise the hairs on the back of your neck. All that’s missing it an accompanying DVD. Now that really would have been the icing on the cake. Their UK tour may only be short, but Blame Sally are a band not to miss. Mon-Fri 14:00-16:00 (GMT) from 17 September 2012. This entry was posted in ALBUM REVIEWS, ALBUM REVIEWS (Mobile), All Posts and tagged album, Americana, Blame Sally, folk, live, Live At KVIE Studios, rock, roots. Bookmark the permalink.